Today’s new customer offer comes from Betfair. They are offering you the chance to get up to £100 worth of free bets when you sign up for an account. Betfair have recently boosted this offer up from £50 to £100, so now could well be the time to take advantage of it! Betfair are one of the most popular bookmakers around right now, largely due to the Betfair Exchange. The Betfair Exchange lets you bet against other real life punters from around the UK and Ireland, and allows you to get great odds on thousands of different markets, often at odds which are much better than the bookmakers are willing to offer. Betfair also offer hugely competitive odds on a large number of sports markets away from the Betfair Exchange. 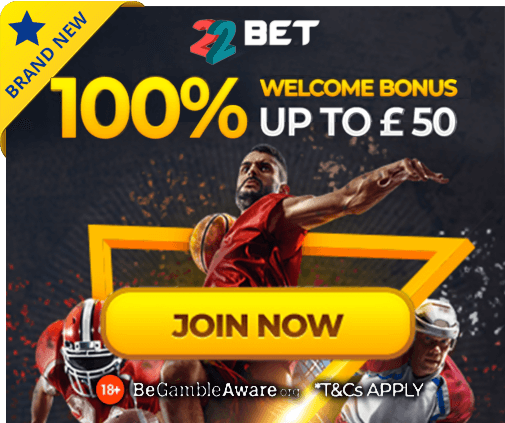 They have plenty of existing customer offers that they have been running for a while now, including their, ‘ACCA Boost’ promotion, which gives you the chance to win up to 50% more on your first accumulator bet of each week. This is just one of the great offers which Betfair are currently running for their customers. To take advantage of this new customer offer, all you need to do is sign up for a new Betfair account using the promotional code, ‘ZBBC01’. After you have done this, place five £10 or more single bets on the sportsbook at minimum odds of 1/2 (1.5). Once these bets have settled, Betfair will give you a free £20 bet. You can repeat this process up to five times which means you can take advantage of £100 worth of free bets (5 x £20 free bets). You can stake more than £10 on any of the bets, but it will still only count as one bet. You must also take into consideration that multiple bets placed on the same selection or market do not qualify for this promotion. Overall, this is a great new customer sign up bonus because it is one where you can decide how many times you want to take advantage of it. The ability to gain up to £100 worth of free bets is something which certainly shouldn’t be sniffed at and I would recommend seriously considering this free bet offer if you’re not already a Betfair customer. With the Premier League season now just around the corner, there is plenty of sporting action to bet on in the coming weeks, so now could well be the perfect time to take advantage of this Betfair offer.